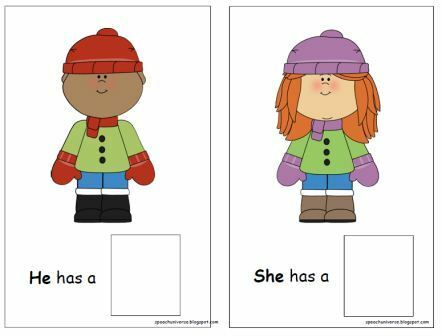 I have been working on some pronoun usage with my students and wanted something where the people were "holding" the item to show possession. With my students with ASD, the closer to literal the better. 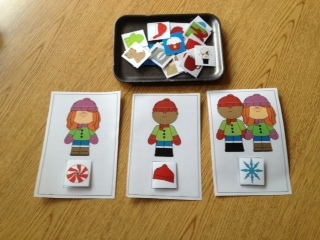 So, I decided to make this little people activity, and I think it turned out pretty well! 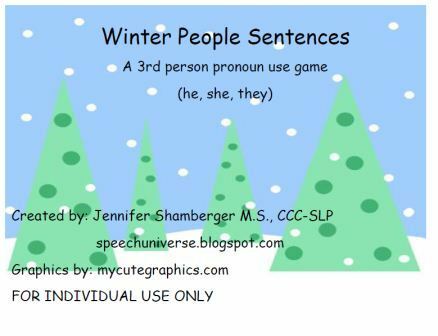 Winter People Sentences (3rd person pronouns he, she, they) is a free activity that works really well on targeting using he, she, and they in sentences. 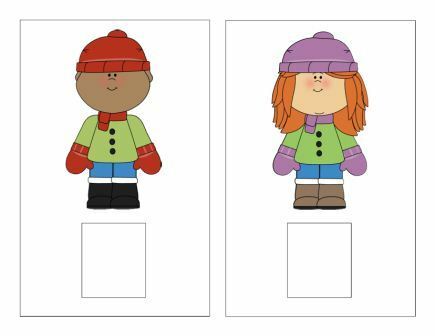 I made six boards that contain either a boy, a girl, or a boy and a girl. There are sentence starters on three of the boards, and no sentence starters on the other three. I also made 24 item cards to go on the boards. 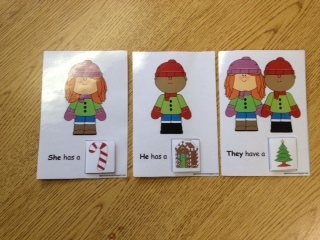 I laminated all of the items and put velcro dots on each card as well as the boards. I think they turned out really cute! Love it, I have a few groups I will be using this with! Great job! I'm so glad you can use it! Thanks for checking it out! I love this! Thanks for posting it, it's very cute! Thank you for checking it out! Glad you like it! Very cute! I've got a few kids this should be perfect for. Thanks for posting/sharing! Thanks for checking it out! I'm glad you liked it.